Michelle Flournoy, the DC apparatchik who would have been Hillary’s secretary of defense, slammed the pull-out as “foreign policy malpractice,” while Hillary’s successor at the State Department, John Kerry, threw bits of red meat to the Russiagate-crazed Democratic base by branding Trump’s decision “a Christmas gift to Putin.” From the halls of Congress to the K Street corridors of Gulf-funded think tanks, a chorus of protest proclaimed that removing U.S. troops from Syria would simultaneously abet Iran and bring ISIS back from the grave. Yet few of those thundering condemnations of the president’s move seemed able to explain just why a few thousand U.S. troops had been deployed to the Syrian hinterlands in the first place. If the mission was to destroy ISIS, then why did ISIS rise in the first place? And why was the jihadist organization still festering right in the midst of the U.S. military occupation? Too many critics of withdrawal had played central roles in the Syrian crisis to answer these questions honestly. They had either served as media cheerleaders for intervention, or crafted the policies aimed at collapsing Syria’s government that fueled the rise of ISIS. The Syrian catastrophe was their legacy, and they were out to defend it at any cost. During the run-up to the invasion of Iraq, Clinton, Kerry, and the rest of the Beltway blob lined up reflexively behind George W. Bush. The insurgency that followed the violent removal of Iraq’s Ba’athist government set the stage for the declaration of the first Islamic State by Abu Musab Zarqawi in 2006. Five years later, with near-total consent from Congress, Hillary enthusiastically presided over NATO’s assault on Libya, cackling with glee when she learned that the country’s longtime leader, Moammar Gaddafi, had been sodomized with a bayonet and shot to death by Islamist insurgents — “We came, we saw, he died!” It was not long before an Islamist Emirate was established in Gaddafi’s hometown of Sirte, while 31 flavors of jihadi militias festered in Tripoli and Benghazi. In 2012, the CIA initiated a one billion dollar arm-and-equip operation to fund the so-called “moderate rebels” united under the banner of the Free Syrian Army (FSA). A classified Defense Intelligence Agency memo distributed across Obama administration channels in August of that year warned that jihadist forces emanating from Iraq aimed to exploit the security vacuum opened up by the US-backed proxy war to establish a “Salafist principality in eastern Syria” — an “Islamic State,” in the exact words of the memo. The memo was authored under the watch of then-Lt. Gen. Michael Flynn, who was convicted this year of failing to register as a foreign agent of Turkey — an extremely ironic development considering Turkey’s role in fueling the Syrian insurgency. Predictably, the document was ignored across the board by the Obama administration. Meanwhile, heavy weapons were flowing out of the U.S. Incirlik air base in Turkey and into the hands of anyone who could grab them across the Syrian border. As early as February 2013, a United Nations independent inquiry report concluded, “The FSA has remained a brand name only.” The UN further issued a damning assessment of the role of the United States, UK and their Gulf allies in fueling extremism across Syria. “The intervention of external sponsors has contributed to the radicalization of the insurgency as it has favoured Salafi armed groups such as the al-Nusra Front, and even encouraged mainstream insurgents to join them owing to their superior logistical and operational capabilities,” the report stated. How ISIS overran large swaths of territory in northeastern Syria and established its de facto capital Raqqa is scarcely understood, let alone discussed by Western media. That is partly because the real story is so inconvenient to the established narrative of the Syrian conflict, which blames Assad for every atrocity that has ever occurred in his country, and for some horrors that may not have ever taken place. Echoing the Bush administration’s discredited attempts to link Saddam Hussein to Al Qaeda, some neoconservative pundits hatched a conspiracy theory that accused Assad of covertly orchestrating the rise of ISIS in order to curry support from the West. But the documented evidence firmly established the success of ISIS as a byproduct of the semi-covert American program to arm Assad’s supposedly moderate opposition. Back in March 2013, a coalition of Syrian rebel forces representing the CIA-backed FSA, the Turkish and Qatari proxy, Ahrar al-Sham, and the Al Qaeda affiliate, al-Nusra, overwhelmed the Syrian army in Raqqa. Opposition activists declared the city the “icon of the revolution” and celebrated in Raqqa’s town center, waving the tricolor flags of the FSA alongside the black banners of ISIS and al-Nusra, which set up its headquarters in the city’s town hall. But disorder quickly spread throughout the city as its residents attempted to order their affairs through local councils. Meanwhile, the US-backed FSA had ceded the city to al-Nusra, taking the fight to the front lines against government forces further afield. The chaos stirred by the insurgents and their foreign backers had created the perfect petri dish for jihadism to fester. By August, Baghdadi completed his coup, announcing control over the city. According to the anti-Assad website, Syria Untold, the U.S.-backed FSA had “balked in the face of ISIS and avoided any military confrontation with it.” Many of its fighters quickly jumped ship to either the Islamic State or al-Nusra. When Russia directly intervened in Syria in 2015, the Obama administration’s most outspoken interventionists railed against its campaign to roll back the presence of Al Qaeda and its allies, comparing it to the Rwandan genocide. These same officials were curiously quiet, however, when Russia combined forces with the Syrian military to drive ISIS from the city of Palmyra, to save the home of the world’s most treasured antiquities from destruction. Toner strung together empty platitudes for a full minute. “You’re not answering my question,” the reporter protested. When the U.S. finally decided to make a move against ISIS in 2017, it was gripped with anxiety about the Syrian government restoring control over the oil-rich areas ISIS controlled across the northeast. With help from Russia, and against opposition from the U.S., Syria had already liberated the city of Deir Ezzor from a years-long siege by the Islamic State. Fearing that ISIS-occupied Raqqa could be next to be returned to government hands, the U.S. unleashed a brutal bombing campaign while its allies in the Kurdish-led Syrian Democratic Forces (a rebranded offshoot of the People’s Protection Units or YPG) assaulted the city by ground. The U.S.-led campaign reduced much of Raqqa to rubble. In contrast to Aleppo, where rebuilding was underway and refugees were returning, Raqqa and outlying towns under U.S. control were cut off from basic government services and plunged into darkness. This October, when Iran launched missile strikes against ISIS, nearly killing the ISIS emir, Baghdadi, the Pentagon complained that the missiles had struck only three kilometers from U.S. positions. The protest raised uncomfortable questions about what the top honchos of the Islamic State were doing in such close proximity to the American military, and why the U.S. was unwilling to do what Iran just had done and attack them. No answers from the Pentagon have arrived so far. With the appointment this August of James Jeffrey, a self-described “Never Trumper” from the pro-Israel Washington Institute for Near East Policy, as Trump’s special representative for Syria engagement, it became clear that the mission to eradicate ISIS was of secondary importance. In testimony before Congress this December, Jeffrey laid out an agenda that focused heavily on what he called “Iran’s malign influence in the region,” “countering Iran in Syria,” and “remov[ing] all Iranian-commanded forces and proxy forces from the entirety of Syria.” In all, Jeffrey made 30 mentions of Iran, all of them hostile, while referring only 23 times to ISIS. It was clear he had regime change in Tehran on the brain. Trump, for his part, had been mulling a removal of U.S. forces from northern Syria since at least last Spring, when he put forward a vision for an all-Arab military force funded by Saudi Arabia to replace them. But when Saudi journalist Jamal Khashoggi was sawed apart inside his country’s embassy in Istanbul this October, Trump’s plan went to pieces as well. Turkish President Recep Tayyip Erdogan exploited the Khashoggi saga to perfection, helping to transform Saudi Crown Prince Mohamed Bin Salman from the darling of America’s elite into persona non grata in Washington. As a result, he arranged a front line position for Turkey in the wake of any U.S. withdrawal. There are now real reasons to fear that a Turkish advance will ignite a resurgence of ISIS. Turkey was not only a source of aid and oil sales to the jihadist group, it currently oversees a mercenary force of Salafi militiamen that includes droves of former Islamic State fighters. If the Turkish onslaught proves destabilizing, Iran and its allied Shia militias could ramp up their deployment in Syria, which would trigger a harsh reaction from Israel and its Beltway cut-outs. Then again, the Kurdish YPG is in high level negotiations with Damascus and may team up with the Syrian military to fill the void. From an anti-ISIS standpoint, this is clearly the best option. It is therefore the least popular one in Washington. Whatever happens in Syria, those who presided over U.S. policy towards the country over the past seven years are in no position to criticize. They set the stage for the entire crisis, propelling the rise of ISIS in a bid to decapitate another insufficiently pliant state. And though they may never face the accountability they deserve, the impending withdrawal of American troops is a long overdue and richly satisfying rebuke. 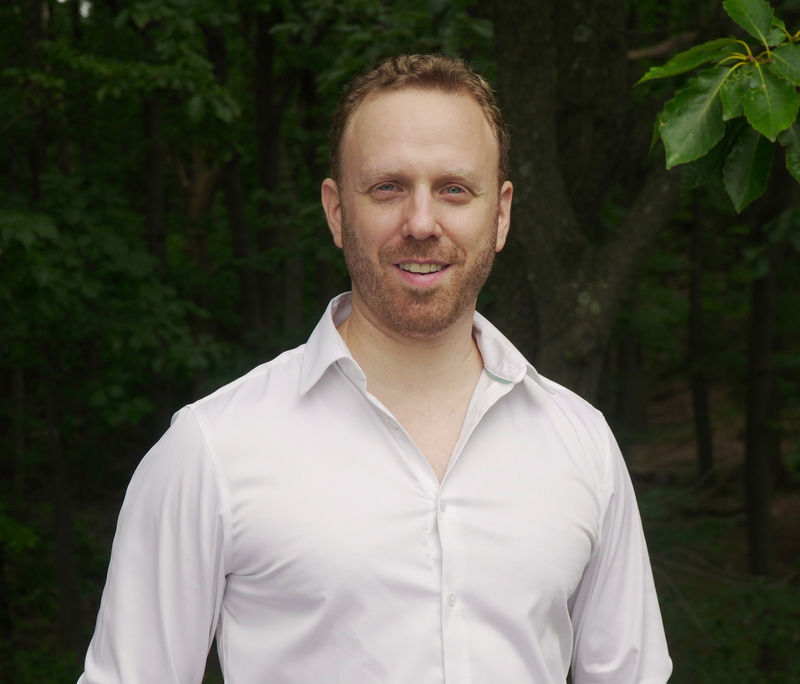 Max Blumenthal is an award-winning journalist and the author of books including best-selling Republican Gomorrah: Inside the Movement That Shattered the Party, Goliath: Life and Loathing in Greater Israel, The Fifty One Day War: Ruin and Resistance in Gaza, and the forthcoming The Management of Savagery, which will be published by Verso. He has also produced numerous print articles for an array of publications, many video reports and several documentaries including Je Ne Suis Pas Charlie and the newly released Killing Gaza. Blumenthal founded the GrayzoneProject.com in 2015 and serves as its editor.